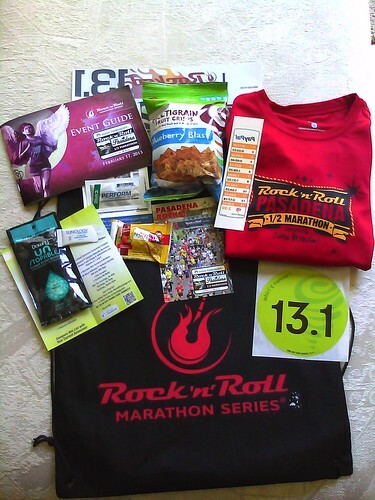 Pasadena Rock ‘n’ Roll Half Marathon (13.1 mi) registration and expo. Check. Expo participant haul. Oh, yeah. 1) I’m not going to sleep well tonight. 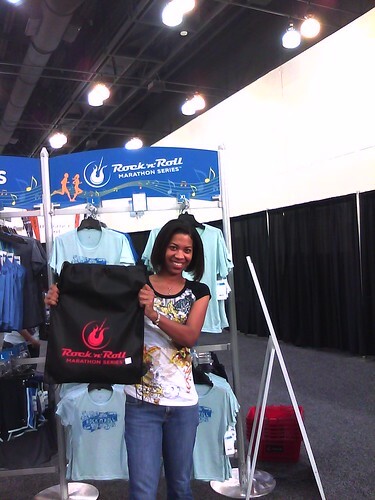 2) There are more than 10,000 other runners in this race (including the mini-marathon distance – 3.5 miles). 3) I’ve never run this particular race course. 4) There are bands playing. Seven of them (hooray)! I’m sure they won’t be distracting us from watching the road at all. Fortunately, I think it’s a flat course. Live near the Rose Bowl or Caltech? Come cheer on the runners in this race benefitting Cure Mito! Are you one of the 10,000+ people signed up? Best of luck and don’t trample me see you at the finish line!